Discussion in 'Notifications' started by Guru, Aug 18, 2018. 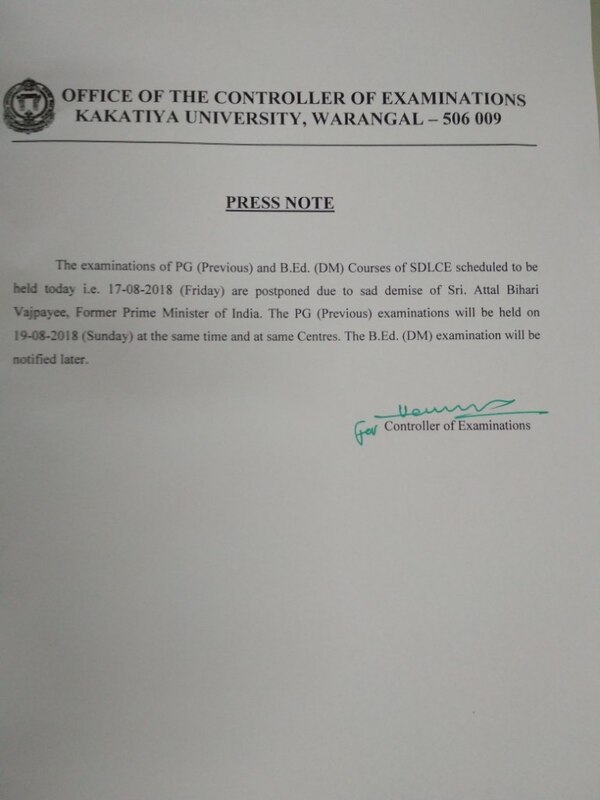 The examinations of PG (Previous) and B.Ed (DM) Courses of SDLCE scheduled to be held today i.e. 17-08-2018 (Friday) are postponed due to sad demise of Sri. Attal Bihari Vajpayee, Former Prime Minister of India. The PG (Previous) examinations will be held on 19-08-2018 (Sunday) at the same time and at same Centers. The B.Ed (DM) examination will be notified later.